Practicing law with a commitment to excellence, integrity & compassion for over thirty five years. Available for select case types. We have rates for different attorneys ranging from $200.00-$285.00 per hour. Kurtz and Peckham has an excellent reputation for assisting parties on the entire range of Colorado family law matters, including prenuptial agreements, adoption, cohabitation issues, separation and divorce, and post divorce matters. Kurtz and Peckham has a practice that includes all facets of family law, estate planning and probate, as well as defense of the criminally accused, traffic defense, juvenile practice and administrative law. We offer traditional representation as well as consultation on specific matters. We are experienced litigators and trained collaborative attorneys. Over the years, the Firm has seen many changes in the legal field but their commitment to providing personal time and attention to each of their clients has never changed. Kurtz and Peckham believes that working closely with each client to design an individual solution to their legal needs is what sets them apart from many other law firms. We are committed to three values: integrity, excellence and compassion. Our reputation as honorable, competent advocates and counselors is paramount to our practice. Katy is committed to expanding and exploring Alternative Dispute Resolution opportunities for her clients. 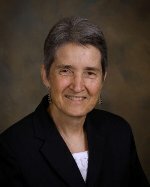 She is a member of the Colorado Collaborative Divorce Professionals (CCDP) as well as a member of the Rocky Mountain Collaborative Law Professionals (RMCLP), a group of attorneys, mediators, therapists, and financial professionals who meet regularly to further explore the collaborative process in family law matters. She enjoys running, reading and time with her family. Certified Trainer, Educator in Psychodrama, Psycho dramatist Trial Consultant. Faculty Member, Gerry Spence's Trial Lawyers College, 2001-2010. Founding Member, 3 Sisters, LLP. Founding Member, Colorado Coalition for Justice for Abused Women. Co-Author of "Trial in Action, The Persuasive Power of Psychodrama", Published in 2010. -Colorado Criminal Defense Bar Association. 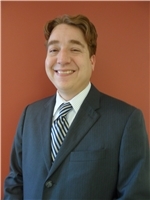 Jude joined the firm of Kurtz & Peckham as an associate. He comes to the practice with over nine years experience in criminal and civil law with an emphasis in juvenile, criminal and traffic courtrooms. A Denver native, Jude graduated from the University of Iowa Law School in 2005 having already acquired his BS in Civil Engineering from University of Colorado Boulder. Prior to coming to Kurtz & Peckham, he served as a court appointed attorney in Adams county and litigated cases in his private practice in court rooms throughout the Denver metro area. Active in his home parish and his daughter's school, Jude lives in the North Denver neighborhood of Berkeley with his family and dog Dora. Elaina DeNolf comes to the firm with extensive financial experience and training in military law. She is able to utilize that experience on behalf of Kurtz and Peckham clients. A Denver native, Elaina graduated from the University of Denver Sturm College of Law in 2012, having previously acquired her B.A. in History from Metro State College of Denver. Elaina is also an Officer in the Judge Advocate General's Corp with the United States Air Force Reserves.